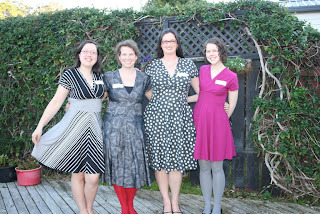 Nikki's Stitches: Sewing social - well more like eating! Sewing social - well more like eating! OK, so I admit, little sewing has taken place, but it hasn't stopped me being social with the Wellington Sewing Bloggers (WSBN) and chatting about things sewing/fabric, enabling (fabric purchases and otherwise) and... erm eating! We certainly know how to party! Quick Mama Gypsy (aka the Forgotten Fashionista), it'll be gone! Oh my gosh what a great photo essay, better than a thousand words, and hilarious! He he, thanks. I reckon a photo essay is good too! It's great hanging out with you too! Looks like we shall have to find you some! 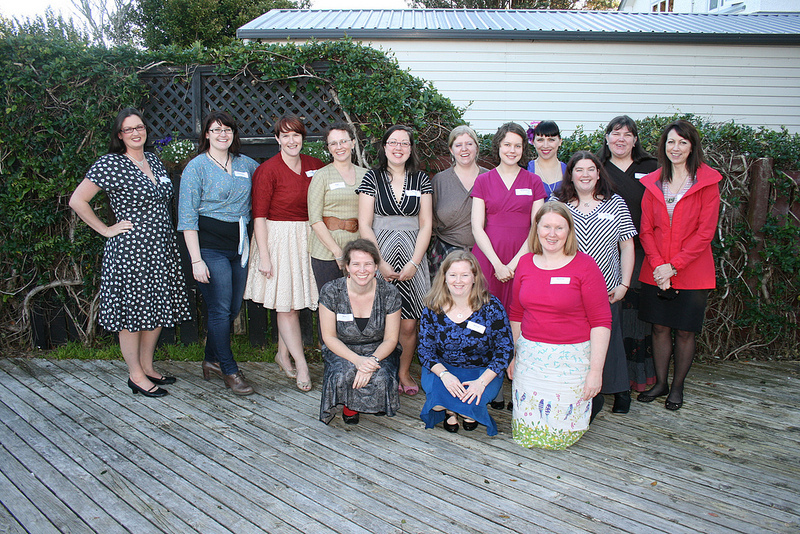 I have to say I was surprised to find so many here and with so many bloggers! Oooh, you are a sociable bunch! what a fun day out, and I love your dress :) I recognised Melissa straight away too! Lots of fun days out. I wonder if that's why not much sewing gets done :-) They are a great crowd to hang out with and always there if we need someone.